Worried About the Cost of Dentures? Missing Teeth? We'll Make You Smile Again. Should You See a Denturist? What's the difference between a dentist and a denturist? Think of a dentist like a family practitioner, while a denturist is like a specialist. For general care, you would go to a dentist. But if your problem relates to dentures, you'd see a denturist. Call now to discuss your options with a denturist. Call our denture center today to schedule an appointment. 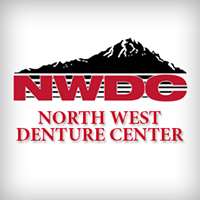 Why choose our denture center? Handle everything in-house: We'll never need to send you to another office. Help you make the best decisions for your health: We'll give you the information you need to make a sound choice. Get to know you personally: We need to know what your expectations are before we can meet them. Give yourself the care you deserve. Call now to speak with an experienced denturist in Missoula, MT. Copyright © 2019 North West Denture Center, all rights reserved.